Harry Rickards was a singer of topical songs and sang many character songs. He was actually a fairly minor artist in England working in the smaller Music Halls of the East End (he eventually emigrated to Australia and made his name there). 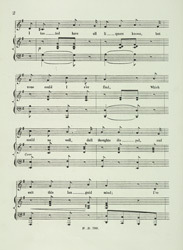 Songs about leisure activities were popular and drinking was the one activity in which all levels of society could partake. The bulk of the audience in Music Halls were working class, however it was not just one audience per evening but was constantly changing as people came and went. People sat around tables drinking and eating; it wasn't until the 1890's that auditoriums were set up with rows of seats and food and drink was provided outside the auditorium in restaurants and bars.